In this section, you will find useful information to assist you in planning your self-catering stay in one of our serviced apartments or cottages in North Queensferry, Fife, near Edinburgh. We have a superb location next to the M90, Forth bridges, Inverkeithing rail link and Edinburgh Airport, within easy reach of Dunfermline, Edinburgh, Perth and Stirling, as well as Kirkcaldy, St Andrews and the East Neuk of Fife. Northcliff House was built in 1821 by Alexander McKonochie, a wealthy local businessman. The house was built when the only means of crossing the Forth Estuary was by ferry. The names North and South Queensferry reflect the establishing of the ferries by Saint Margaret of Scotland in the 11th century. Northcliff House witnessed the opening of the iconic Forth Rail Bridge in 1890 (made a UNESCO World Heritage Site in 2015), the Forth Road Bridge in 1964, and most recently the Queensferry Crossing in 2017. 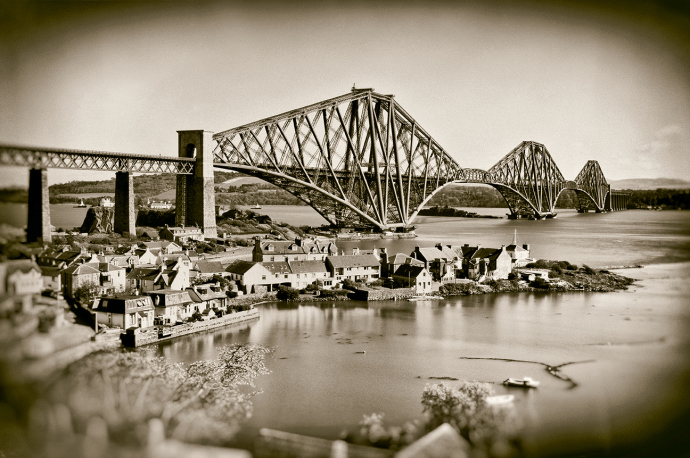 Together, they are considered amongst Scotland's greatest engineering feats and they carry the unique accolade of being 'three bridges spanning three centuries'. Over the years, Northcliff House has provided an impressive home to successive families of successful business people and, in the process, was modified and extended to generate the impressive structure you see now. It had its own gatehouse (now The Lodge), laundry (now Laundry Cottage), walled garden and rose garden. In the 1990s, Historic Scotland raised the status of Northcliff House to that of a Category B Listed Building. With the demise of the large country houses, primarily due to upkeep and maintenance costs, Northcliff estate was converted in the late 20th century to highly appointed self-catering accommodation, first for holidaymakers and more recently for the business sector as serviced apartments and cottages. Around the house, there are many statues recording the diverse tastes of owners over the years. These include the eagles on the gateposts. In 2002, the original eagles were stolen in an audacious theft. We found a traditional stone carver in Edinburgh (Andrew McFetters) and, from only a photograph, he reproduced the magnificent eagles you see today. 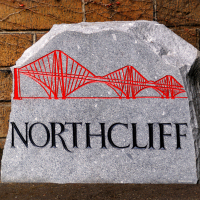 We have added our own carving, the granite Northcliff sign at the gate. This was done by Bruce Walker, a sculptor from Kirriemuir. Bruce is one of the very few remaining sculptors who work with granite. He was trained in Aberdeenshire during the heyday of the granite industry there. 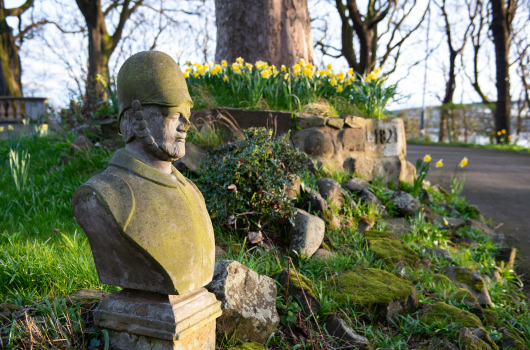 Bruces work includes the acclaimed Captain Scott Centenary Memorial sculpture in Glen Prosen, Angus.